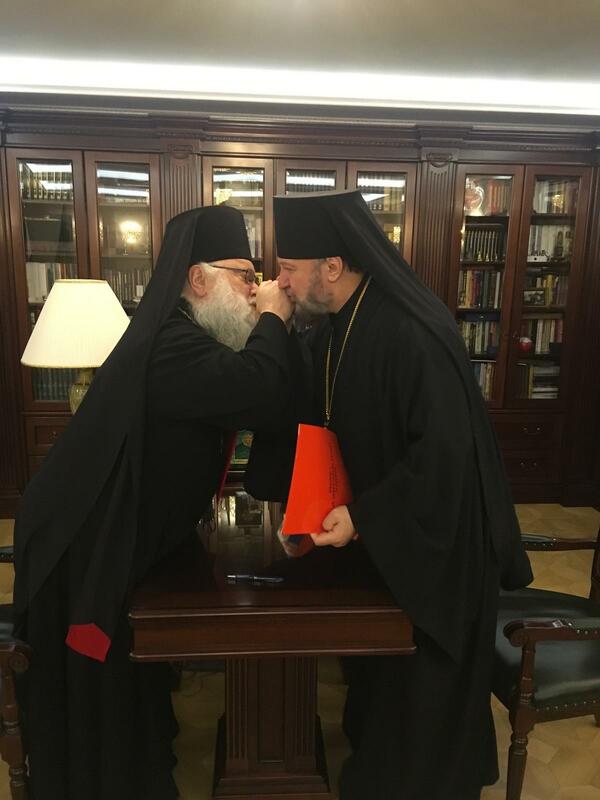 The Pastoral School of the Diocese of Chicago & Mid-America feels strongly that active partnership with higher education theological institutions of the Russian Orthodox Church/Moscow Patriarchate is an important aspect of making the continuing reconciliation of the Russian Church a real, living effort that will bear spiritual fruit, and that this is fully within the spirit of the Act of Canonical Communion signed by the ever memorable Patriarch Aleksey II and Metropolitan Laurus on the day of the Ascension 2007. 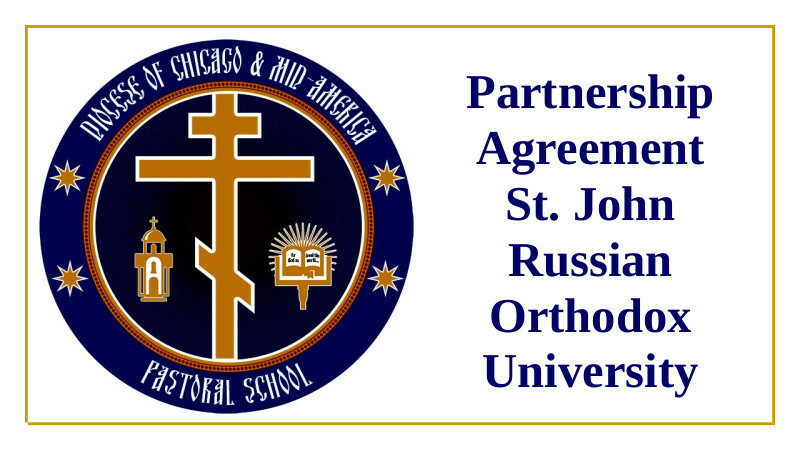 In furtherance of this goal, The Pastoral School is happy to announce the signing of a Partnership Agreement with the Russian Orthodox University of St. John the Theologian in Moscow on January 22/February 4, 2019. Signing on behalf of the Pastoral School was the Rector, Archbishop Peter of Chicago & Mid-America. 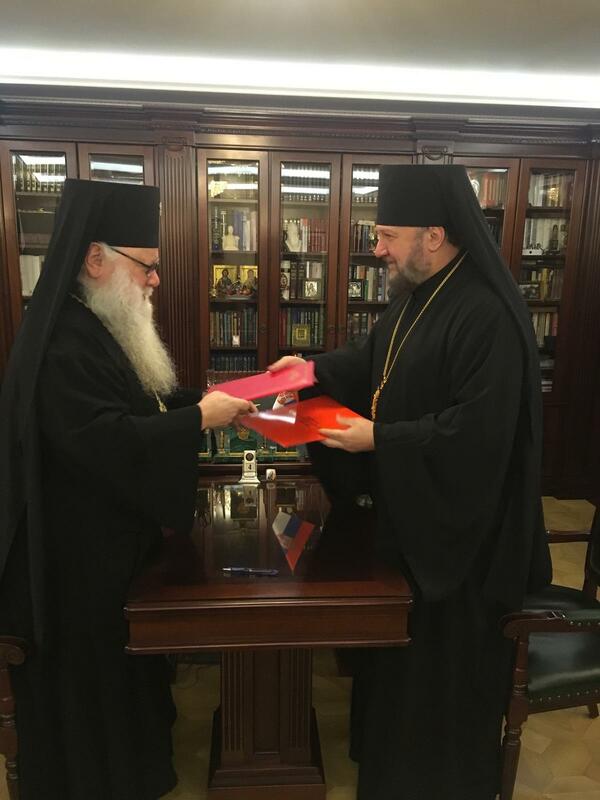 Signing on behalf of the Russian Orthodox University of St. John the Theologian was the Dean, Bishop Anthony of Moravici. 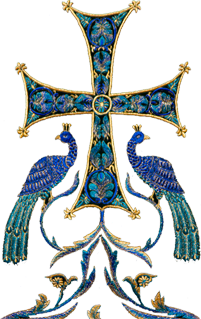 The Pastoral School looks forward to close cooperation with the Russian Orthodox University of St. John the Theologian in the hopes that this will be a fruitful relationship for the faculty, staff, and students of both institutions of higher education.